Horse owners want the very best for their horse and are very critical when deciding to move their horse somewhere new. One way a horse owner can decide which barn is best for them is to make a list of the “must haves” and compare boarding facilities based on these items. Most horse owners will want a stall that measures at least 12’ x 12’, especially if their horses will be spending a large amount of time in their stalls. You can bump up your score by adding stall windows. 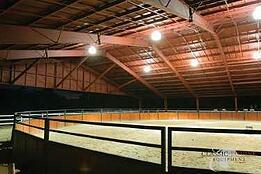 They help to break up equine boredom and also increase ventilation and allow for more natural light to enter your barn. Stall mats or stall mattresses also show horse owners that you care. In areas battered by sun and wind or cold and rain/snow, indoor arenas can lengthen the amount of the year that boarders can ride and train. 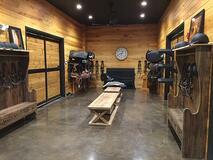 In most instances, an outdoor arena will be enough, but your boarders will appreciate the option. However, whether you have an indoor or an outdoor riding area, proper footing is the key to a horse owner’s happiness. An indoor wash stall is also high on the list of most boarders. Adding hot water, heated lamps and safe flooring are things they most would like to have. Having access to a wash stall can also help when treating medical issues rather than than hauling buckets. 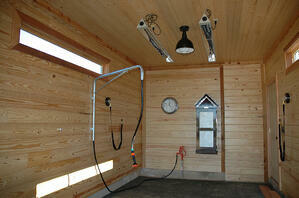 While wash stalls are a “most wanted”, separate grooming or saddling areas are also appreciated. 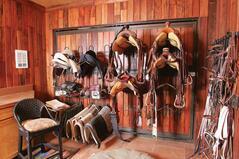 Make your tack room a safe, pleasant, and well-organized area. Offer plenty of space for riders to store their tack and understand that some disciplines, like eventing, need more than usual as the have two of everything. Remember that riders will have lots of other equipment in addition to their tack, so look for ways to maximize your storage areas. Be sure to make it secure. If you want to establish your stable as a sought after facility at which to board, consider adding these features to your barn. Classic Equine Equipment can help.